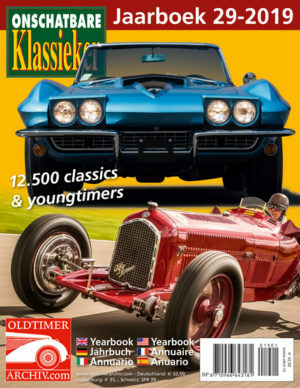 The Oldtimer Archiv Yearbook – the international version of the Dutch ´classic car bible´ Onschatbare Klassieker Jaarboek – contains several hundred new entries, compared to last year´s edition. 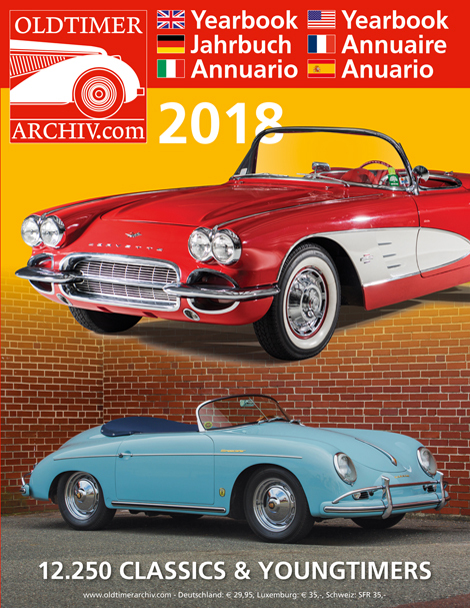 The latest Oldtimer Archiv Yearbook 2018 is the biggest edition ever, counting 672 pages. 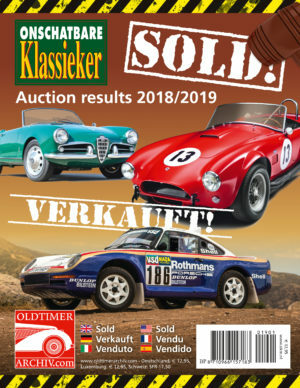 Many thousands of classic cars and modern classics are featured with photo, technical data, production numbers and current market prices in the categories A (concours) to E (restoration project). 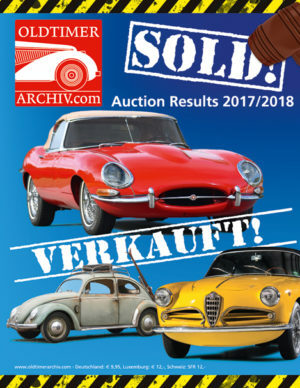 All price indications have again been reviewed and updated according to the latest market developments where applicable. 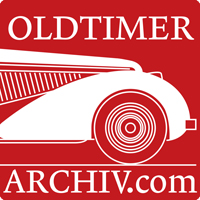 The Oldtimer Archiv Yearbook is an indispensable tool for the classic and specialist car trade, restoration specialists and appraisers.